I just received this press release from my good friends Michael Aubrecht and Clint Ross. I hope you can take one of their tours and let me know here how it went. Have a great day. Nestled on the banks of Virginia’s Rappahannock River is the historic town of Fredericksburg and the storied county of Spotsylvania. Four major Civil War battles took place in this area leaving behind acres of significant sites. Debuting in the fall of 2011, ALL-ACCESS BATTLEFIELD TOURS (LLC) is a new private tour service designed especially for wheelchair travelers who wish to fully explore and experience these hallowed grounds. AABT’s all-accessible individual or group tours take visitors, their families and friends directly to historical hotspots while moving at their own pace. In order to provide a safe and comfortable expedition, visitors have the option of being transferred to customized travel wheelchairs that feature special wheels and canopies. These rugged outdoor chairs, combined with portable ramps, enable visitors to traverse fields, trails and roads that are otherwise inaccessible. Each experience includes complete accessibility assistance and the highest quality tours, featuring a unique staff of experts made up of local historians, authors and preservationists. Founded by local Civil War historian and documentary film producer Michael Aubrecht, AABT is the area’s only tour service specifically catering to wheelchair travelers. Aubrecht explained the genesis of the business. He said, “I have a few friends in wheelchairs who are also history enthusiasts. Until recently, I had no idea how difficult it was for them to enjoy a battlefield-trekking experience. After some consideration, I decided to put together a special service that focused on them. 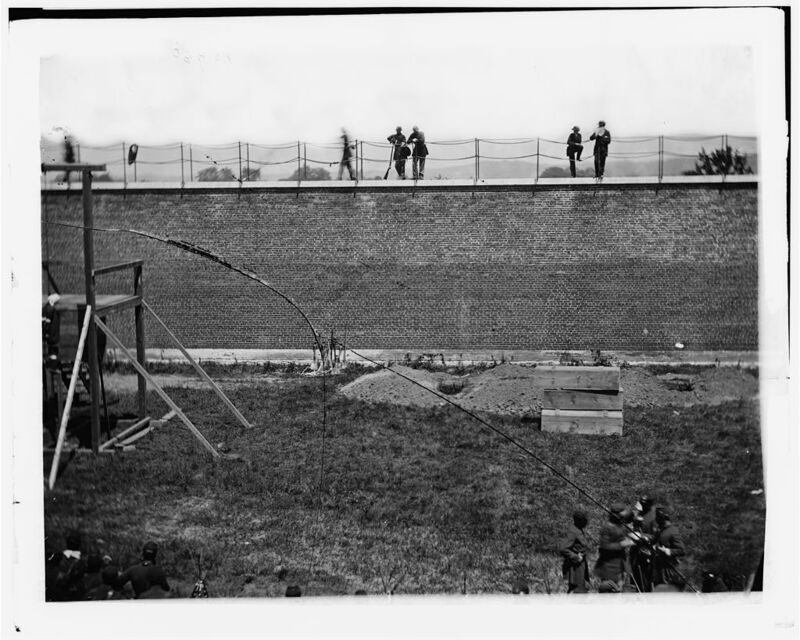 I selected three or four locations at each battlefield that could be managed safely and then developed special tours that still present the whole story.” He added, “For example, our Fredericksburg Battlefield package includes a complete tour of the Sunken Road, Prospect Hill and the Slaughter Pen Farm. That’s a three-hour trek that is safe, comfortable and paced for wheelchair travelers and their families. We tell the whole story, even though we can’t get them to every hiking stop.” Grateful for all of the support that he has received, Aubrecht credits the generosity and help of others in establishing AABT. Mark Jones, a local wheelchair-bound historian, and his wife Christine provided their experience and expertise by testing out battlefield locations, consulting on the accessibly requirements and identifying safety concerns. Mark is also assisting Michael as a guide. Local historian and author John Cummings will be lending his expertise at the Spotsylvania Battlefield and Bill Oberst Jr., a friend of Aubrecht’s and the actor who played General William T. Sherman in the History Channel’s “Sherman’s March,” has accepted an invitation to act as the spokesperson for the organization. Other sponsors include Right Stripe Media LLC, the independent film company that produced the documentary “The Angel of Marye’s Heights,” and The National Civil War Life Foundation. The Fredericksburg/Spotsylvania National Military Park Service approved AABT’s permit to conduct the specialized tours. “The good folks at the local National Park Service have always been a tremendous help to me in all my endeavors, from books – to films – and now this. They are the gold standard for battlefield tours and I am studying very hard to live up to their expectations.” He adds, “I don’t think I’ve researched like this since I wrote my last book. We are using NPS staff historian Frank O’Reilly’s outstanding title The Fredericksburg Campaign as the reference source for our presentations.” Troy Technologies, a travel wheelchair company based out of Los Angeles, generously donated two custom-made Pioneering Spirit Wheelchairs complete with the accessories required to make battlefield trekking on four wheels an enjoyable experience. “None of this could have happened if we didn’t have the proper accessibility gear,” Aubrecht said. “When I was starting to develop the concept, I sent petitions out to twelve wheelchair companies, asking for their support. Nathan Watkins, the president at Troy Technologies Inc. was the first to call me back.” He added, “I was immediately impressed by the durability and quality of their product line, as well as Nathan’s enthusiasm and willingness to help. Troy Technologies really came through for us and I look forward to sharing a long relationship with them. They are also dedicated to expanding the freedom and mobility of wheelchair travelers and we are truly kindred spirits. Many folks will want to use their own wheelchairs, and if they are suitable, they may. However, others may not have the proper equipment for traversing the fields, farms and roads associated with these tours. In that case we have these special chairs available for a very minimal rental fee that are safe and comfortable.” Portable ramps are also available to further enable touring comfort and mobility. All of AABT’s tour stops are fairly level, with minimal grades and are adjacent to parking. For a small fee to cover guides and operating costs, AABT is offering a primary three-hour wheelchair tour to Fredericksburg Battlefield, as well as optional trips to Chancellorsville, The Wilderness and Spotsylvania Battlefields. Stops among these choices include the Spotsylvania Confederate Cemetery, Salem Church and Ellwood. Special site requests may be accommodated if safety permits. AABT guides meet and greet patrons on site, at their location (home or hotel), or at one of the Visitor Centers. Additional AABT plans are to offer special tours to the Wounded Warriors Project and find ways to benefit the Civil War Trust by bringing awareness to the importance of preserving battlefields. Thankful for the opportunity to share the past in the present, Aubrecht summed up the philosophy behind All-Access Battlefield Tours. He said, “Our goal is to make sure that visitors go where they want to go, see what they want to see, and experience what they want to experience.” All-Access Battlefield Tours officially opens for business on September 1, 2011 and will immediately begin booking weekend dates for the month of October. Tours will then run until mid-December, break for the winter season, and start up again in the spring. For more information, please visit http://www.pinstripepress.net/AABT.html, view AABT’s tour package brochure, or call 540-845-2767. For more information on Troy Technologies custom, travel-ready wheelchairs, visit their website at http://www.travelwheelchair.net. CONTACT BIO: Michael Aubrecht has been hiking Civil War battlefields ever since his parents surprised him with a weekend trip to Gettysburg at the age of 6. For the last 18+ years, he has lived here in Spotsylvania. 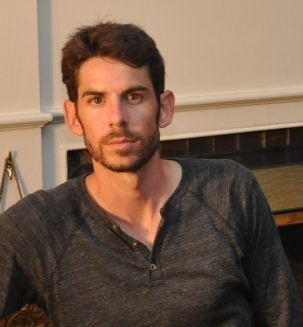 Among Michael’s books are two regional titles: Historic Churches of Fredericksburg, Houses of the Holy and The Civil War in Spotsylvania, Confederate Campfires at the Crossroads. Michael has written dozens of historical articles for the area’s newspaper The Free Lance-Star and most recently, he co-wrote, appeared in, and produced the critically acclaimed documentary The Angel of Mary’s Heights. Michael is the vice-chairman of the locally-based National Civil War Life Foundation, He has provided the voiceovers for local Hometown History Quick-takes on AM1230 radio, lectured at nearby Mary Washington University, and given private tours on and off for the last 5 years. It’s a great story and Clint and Michael did a fantastic job in bringing it to the public’s attention. I’ve seen the film and endorse it fully. Once you’ve seen the film, please write here and share your comments on what you thought. 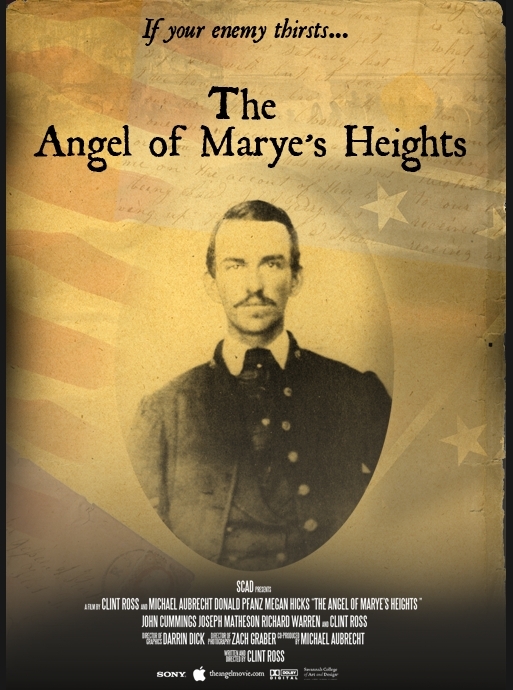 It is with great pleasure that Right Stripe Media announces the immediate availability of “The Angel of Marye’s Heights” on DVD. This long-anticipated release commemorates the beginning of the Sesquicentennial (150th) of the American Civil War. In addition to the 30-minute documentary, 7 additional Bonus Features (1+ hour) are included: Dramatic Mercy-Scene, Richard Warren’s “Portrayal of a Hero” Monologue, “Living History” with Kathleen Warren, Cast and Crew Outtakes and Behind the Scenes Slideshow with Will White’s ‘Fredericksburg 1862’ title song, Director and Producer Premiere Comments and Scans of Richard Kirkland Letters. 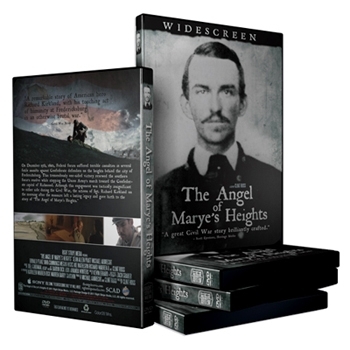 This Widescreen DVD is now available for purchase online for $12 (+ shipping) at http://www.theangelmovie.com/store. Hi all: I’ve been negligent in keeping you up to date on what has been happening with Clint Ross and Michael Aubrecht and their documentary “The Angel of Marye’s Heights”. Clint just sent out an update so I wanted to pass it along. They are raising funds for producing the DVD of the film. To be a part of this exciting project, read the update below and then visit their website. Your support is very much appreciated. I’ve seen the film and it’s an excellent film. “I just watched your Kirkland movie and was super impressed. Very well written and accurate script, use of historians, the graphics were excellent. Overall a very professional looking production. Great job!” – Mac Wyckoff, retired NPS historian and THE leading authority on Richard Kirkland and the 2nd South Carolina Volunteers. “This film was a poignant, inspiring portrayal of an unassuming hero. It made a touching Civil War story leap from the pages of history and come alive.” – Jane Conner, historian and author of Birthstone of the White House and Capitol and Sinners, Saints, & Soldiers in Civil War Stafford. In our haste of anticipation and preparation, we just wanted to stop and say a quick “thank you” to all our supporters that have contributed to this film either through financial contributions or by simply being the man or woman on the street spreading the word. We could not and cannot do this without YOU. We are 1/3 of the way there. We have just over $2,000 to raise in order to meet our goal of $3,000 by December. Michael and I are raising support by traveling to various museums and universities to host screenings and talks/discussions about our film and the preservation of history. However, the majority of our support has come through you guys… our fans! So “thank you” again for all of your much needed contributions! On a side note, just yesterday Michael and I were on Victory-FM’s “Welcome Home” program. We will be posting links to these interviews soon, but in the meantime, if you’d like to read about our latest screening at Mary Washington University where Michael was personally invited by the President to host a private screening, follow the link below to our blog. You can keep up with our screening dates (including upcoming shows at Stafford and Pittsburgh) on our website under EVENTS. We’ll be talking to you soon, but in the meantime, keep spreading the word! Hi all: I received an email from Clint Ross, the director of “The Angel of Marye’s Heights” and wanted to pass it along. I really believe in the film and tip my hat to Clint and Michael Aubrecht for bringing the story to life. I hope you can support them in whatever way you can. The film will premiere later this month and Clint also indicates that other venues are being looked into for showings (including several film festivals). 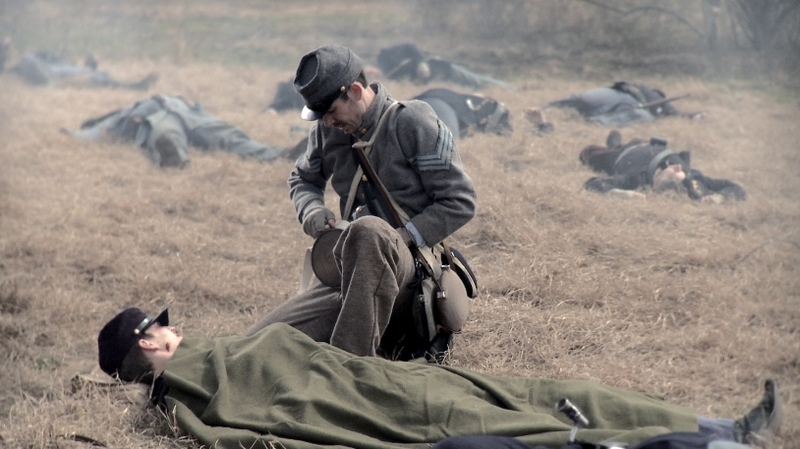 Hello Friends, It’s official… “The Angel of Marye’s Heights” will premier in Fredericksburg, VA on Saturday, July 24, 2010. 6-9pm at the Central Rappahannock Regional Library. There is also talk of potential screenings in Savannah, GA, Athens, GA, Camden, SC, Pittsburgh, PA, and Liberty University. Hopefully, one of these places will be suitable to your location for you to come out and see the film. Screening dates to come. Check out our latest blog for further updates and to listen to an audio interview I did with Barry Cauchon, writer of the popular blog called “A Little Touch of History.” In the interview I discuss the story behind our film, as well as our plans for the future. Just a side note, I have submitted the film to the following film festivals: San Antonio Independent Film Festival, Heartland Film Festival, and Savannah Film Festival. Take care and please feel free to contact me with any questions! We’re also still accepting donation to cover cost of DVD distribution if anyone feels compelled to give… any amount welcome. Just go under the sponsorship page on the website to donate. 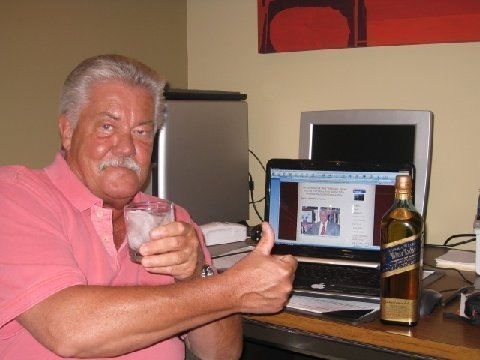 Regards, — Clint Ross, Independent Film Producer & Director. 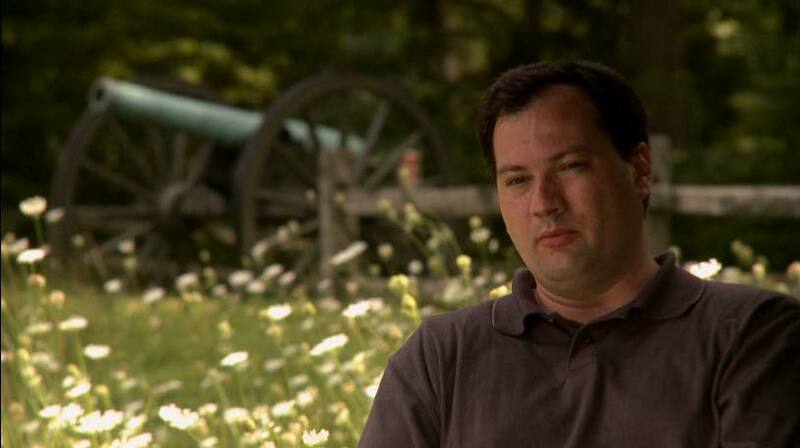 Hi all: On June 7, 2010, I had the pleasure of interviewing Clint Ross, the director of a new documentary called “The Angel of Marye’s Heights”. It is the story of Richard Kirkland, a Confederate soldier who participated in the Battle of Fredericksburg in December of 1862. The battle was fought between Robert E. Lee’s Army of Northern Virginia and Major General Ambrose Burnside’s Army of the Potomac in what has been described as one of the Civil War’s most ‘one sided battles’ ever fought. Lee held the high ground outside the city of Fredericksburg and Burnside, against all logical recommendations by his own officers, decided to send his troops across open fields in an attempt to attack the Confederate lines. It was a disaster resulting in a bloodbath. The Union forces suffered thousands of casualties as wave after wave of their soldiers succumbed to the immense fire power of the fortified Confederate army. It was a turkey shoot. Because the fighting had been so intense, and the atmosphere still highly volatile, no Union attempt could be made to rescue their injured troops from the battlefield. As evening came, the wounded Union soldiers began crying for mercy from the Confederate side, asking for water, blankets and anything they could spare. No one could help. Throughout that night and the early hours of the following morning the cries of suffering continued, weighing heavily on the Confederate soldiers’ consciences. It was then, that Richard Kirkland, after getting permission from his commander, gathered canteens and supplies from his fellow soldiers and risked his life by stepping out onto the battlefield to tend to the wounded Union soldiers. Once the men in the Union lines realized that Kirkland was not out there to cause further harm to their men, but in fact, help them, the shooting stopped and they began cheering him on. The cheering was taken up by the Confederate soldiers as well. Kirkland made several trips to the injured soldiers that morning. And for a few short moments in time, humanity came to the battlefield. For his actions, Richard Kirkland was called the Angel of Marye’s Heights. Clint Ross, decided to tell Kirkland’s story while at the Savannah College of Art and Design. It turned out to be his thesis film. He worked with Historian Michael Aubrecht and a very talented team to make the film into reality. It’s a piece they are all very proud of. Historian Michael Aubrecht from "The Angel of Marye's Heights"
To learn more about Richard Kirkland and the film “The Angel of Marye’s Heights”, go to http://www.theangelmovie.com/. While there, be sure to check out the short teaser from the film as well as view their blog to get the most current updates. As of this writing, I’d like to bring you up to date on the film’s premiere as noted below. Crew will have reserve seating.) Our program will also feature remarks from the director and producer, intro of present cast and crew, acknowledgements of donors, presentation of cast awards, Q&A. The after-party will include free food and refreshments, music, exhibits of local museums and re-enactors, as well as battlefield preservation groups. This film was sponsored by the National Civil War Life Foundation and has been donated as a permanent exhibit at the Civil War Life Museum. Subsequent screenings tentatively planned for southern VA, GA, SC, and PA. Proceeds benefit the film’s upcoming DVD production and distribution costs. A scene from "The Angel of Marye's Heights"
I try to look at life this way, “when you’ve got nothing… you’ve got unlimited resources!! !” That is exactly what happened on this film… many a little made a lot… that’s why this is a “for everyone film”… it was made by those that care more about the story than about the potential money attached to it. We accomplished a beautiful film with the help of so many people. I could spend all day saying that to everyone. I just specially want to thank my fellow producer, Michael Aubrecht for all his hard work and dedication to this film. His knowledge and connections gave depth to this film. Zach Graber, a talented cinematographer literally translated my thoughts using the camera. His eye and professionalism shows in every scene. Clayton De Wet, the location sound mixer virtually made for a seamless post-production process with sound design… it could not have been any better. Nazar Loun, a very hands on camera operator combined skills with Zach and maintained a solid look through out the film… what a hard working guy. Kevin Erhard came on board in the latter half of the post production process and really helped me find the heart beat of TAMH. I went to him for this purpose because Kevin has a sixth sense of story structure and character development. Thanks Kevin for helping me tell Kirkland’s story in a poetic way. Chris Campbell for all his long nights and dedication to the finishing of this film. What an incredible job with sound design and coming in the fourth quarter and scoring this last minute touchdown. What a hard worker. Thanks for your patience Chris! I’d also like to thank Kathleen Warren and the Warren family for all their encouragement and patience with me. I always felt they were behind me 100%. It is my prayer that I can repay their hospitality one day. I aspire to our level of dedication to family and friends. Lastly, I’d like to thank my wonderful wife Lizzie. The queen of patience and the love of my life. I could not have made this film without her sacrifice and patience regarding my time and energy. There are so many others I could thank and I promise I will get around to it! Recently I recorded an interview with Clint Ross for my feature “An Awesometalk With”. Clint is the director of a documentary called “The Angel of Marye’s Heights”. This is the story of Richard Kirkland, a Confederate Civil War soldier, who through amazing bravery and kindness, put himself at personal risk to tend to injured Union soldiers wounded on the front lines at the Battle of Fredericksburg. Clint’s interview will be ready for release here in a couple of weeks and he will tell you about this awesome, little known story and the efforts to document the story on film. In the meantime, a private showing of the finished piece was shown recently to rave reviews. I first met Clint on the set of The Conspirator (Robert Redford’s new film about Mary Surratt, to be released later this year) where he was a Props Assistant. He took me under his wing and really made me feel welcomed while I was there. I learned about his project then and was fascinated by the story. You will be too. There are many untold stories from the Civil War that need to be brought to light and this is a wonderful example of one. Here is part of an announcement that was just released by Clint and company. It is with a great deal of excitement that we can announce “The Angel of Marye’s Heights” is finally completed and ready for its debut! Last weekend we held a test-screening in Lexington, VA and the reviews were excellent. This story is resonating with people and the anticipation is growing thanks to the Press. This film will now be a permanent, daily show at the Civil War Life Museum in Fredericksburg and we are taking it on the road to round tables and universities. The premiere will take place in Fredericksburg, VA on July 24. Exact details will be announced later next week. For updates, please visit www.theangelmovie.com’s blog. This event will be hosted by the National Civil War Life Foundation as a prelude to their Richard Kirkland Seminar. All admissions and donations will go towards covering the film’s DVD production costs and festival fees. In addition to the film’s screening, we are hosting a post-show party for all in attendance with music, food and some surprises too. Please spread the word to all who may have an interest. Thank you again for all of your efforts and support. We look forward to seeing you there! Clint Ross & Michael Aubrecht. Congratulations Clint and Michael. I can’t wait to see the film.